Santa Claus has been kidnapped! Behind the plot are an evil queen, a wicked stepmother, a sorceress, a beanstalk giant, and, of course, the mischievous Rumpelstiltskin. They have a plan that will erase the term "Happily Ever After" from our storybooks forever. But it's nearly Christmas Eve, and time is running out. Can Santa and the fairy-tale heroes save the day and bring Christmas to all the children of the world? Will anyone have a "Happily Ever After" again? Fairy Tale Christmas reminds us all that there is good in everyone and that the magic of Christmas can soften any heart. SCOTT MCLEAN is an actor, songwriter, and playwright. A graduate of The American Academy of Dramatic Arts (NYC) and The National Theatre Conservatory (Denver), Scott lives, creates, acts, and auditions in New York City. I enjoyed the book.. I just wish that the music would have been included with the ebook download. I would have given it 5 stars had they done this. I read most of the book in one day, because it was so good. It was a great story. Darling cover and fun book for all! This cover is so much fun! Isn't it awesome, I love it. This book is tons of fun. 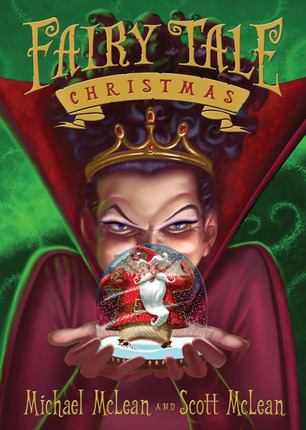 It combines some favorite fairy tale villains and Christmas. What a clever idea and great combination. The story is sweet, entertaining and reads fast. The scheme that the "Clandestines" come up with to stop Christmas and redeem their stories is creative and down right evil (in a cute way). I loved the ending and the message of even the nastiest characters can change given the chance and Christmas magic. I think the epilogue is my favorite, it adds just the perfect final touch to this great story. 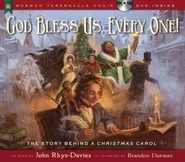 This is a great book that you and your kids can read every year to start a new Christmas tradition. There is also music with this book too, of course, it's Michael McLean! Find out more at Fairy Tale Christmas Musical. PERFECT FAMILY READ FOR THE HOLIDAYS! OH I LOVE A GOOD CHRISTMAS STORY! And I LOVE A GREAT FAIRY TALE! Combine the two together with a kidnapping of Santa and you have created a "Fairy Tale Christmas." But how? Kidnap Santa...this will be the "sweetest revenge!" Can Snow White really eat the apple and live forever in a glass coffin? Can Cinderella be a slave to her step-mother for eternity? Can Jack really let the giant eat him? But if they don't...Santa will not be able to deliver presents to the children all over the world. Sure to be a HOLIDAY FAVORITE! It is a charming story. You have familiar villains and heroes. The villains want to kidnap Santa Claus. There are spies in the elves. The heroes are heroic. I enjoyed it. 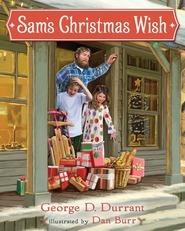 Nice new Christmas story to add to anyone library. I like the songs too. I was given a book so I could review it honestly.